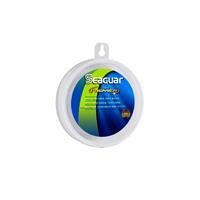 Seaguar STS Salmon Fluorocarbon Leader Material is a genuine 100% fluorocarbon leader material that delivers incredible abrasion resistance and maximum knot strength. The lower light refraction makes for a significantly less visible line under water. 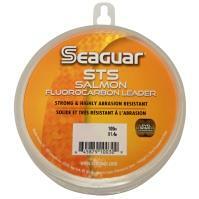 The STS Salmon Fluorocarbon Leader Material sinks quickly, getting your presentation down. 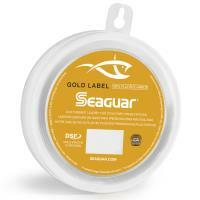 Seaguar Pink Label Fluorocarbon Leader Material is constructed from 100% fluorocarbon resins. 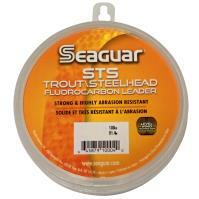 The soft and supple line provides superior tensile strength with excellent abrasion resistance and minimal stretch. 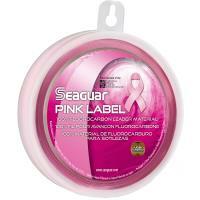 The Pink Label Leader Material has better knot strength than other lines on the market. The pink color enhances line visibility, but disappears in the water column to maximize strikes. 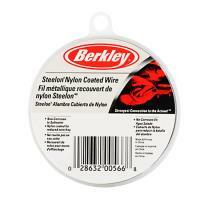 Berkley Steelon Nylon Coated Wire Leaders are made to handle the toughest tests. 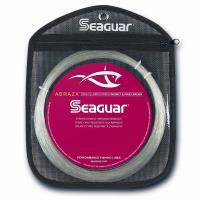 With nylon coating that provides extra protection, this seven strand wire improves flexibility and reduces kinking. VMC Fluorocarbon Leaders are constructed with the extra-strong, clear, Sufix 100% fluorocarbon line and outfitted with a premium ball bearing swivel and Touch-Lok snap. The unique snap design offers easy lure replacement but guarantees locking strength. Wire leaders are a thing of the past! Replace them with the strong Seaguar AbrazX Musky / Pike Leader Material. 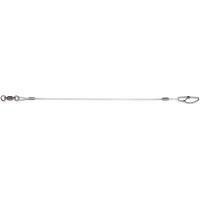 Built to handle large toothy fish, this leader material has a small diameter but incredible knot and tensile strength. 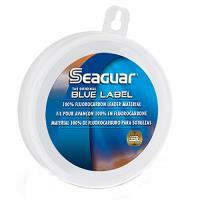 It is 100% fluorocarbon, making it virtually invisible underwater and very soft with low memory. If you're targeting those angry monsters, you're going to need the abrasion resistant Seaguar AbrazX Musky / Pike Leader Material!